Please select a return date. 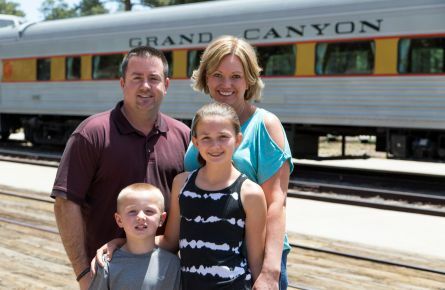 All aboard the Grand Canyon Railway to “the most sublime of all earthly scenes.” Experience the romance of a voyage by train, and choose from a menu of customized packages or discounts that feature lodging inside Grand Canyon National Park and in Williams, AZ, as well as breakfasts, dinners, luggage transfers, guided tours, and more. Let us take care of the details, while you sit back and be spellbound by some of the most stunning scenery on Earth. We’ve done the planning for you. 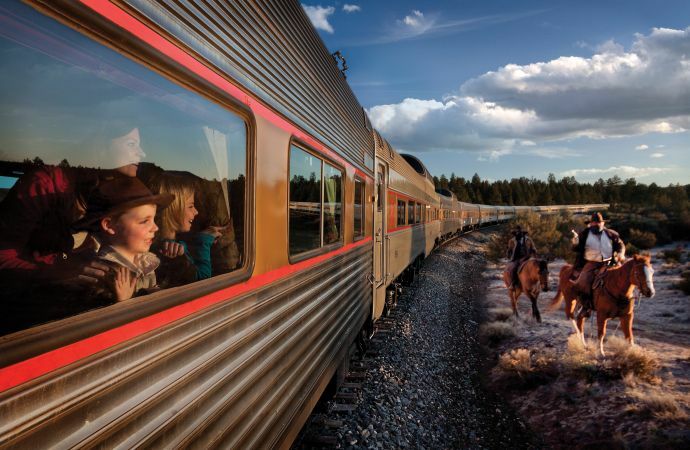 See it all with your choice of itineraries packed with everything you need for an unforgettable Grand Canyon experience. 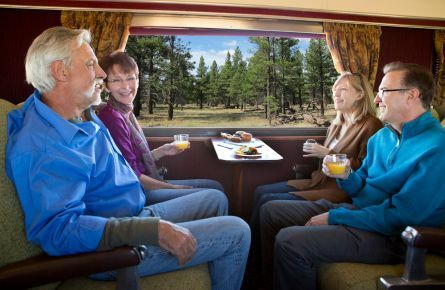 AARP members can take advantage of great savings on 2- and 3-night packages. 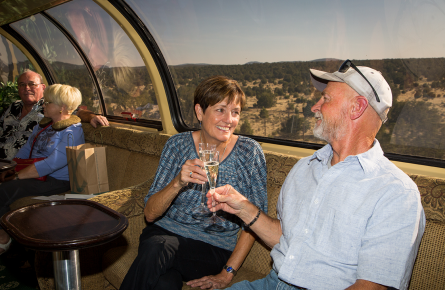 Save up to 20% with the AAA exclusive "Rails to the Rim" package. Everyday savings for armed forces & first responders and AAA, AARP, and Good Sam members. 233 N. Grand Canyon Blvd.